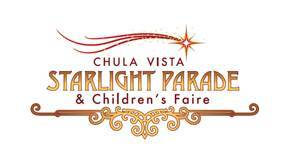 The ever-popular Chula Vista Starlight Parade returns once more to Third Avenue in the heart of the city’s historic downtown village. New this year is a free Children’s Faire in Memorial Park from 2-5 p.m., preceding the parade. The fair will feature the popular snow hill in the park – a hill of real snow for children to sled down. This traditional kickoff for the holiday season has been delighting children and families for more than 50 years. One of only two nighttime parades in San Diego County, the Starlight Parade begins at 6 p.m., with marching bands, children’s choirs, military veterans, drum corps, firetrucks, youth sports teams and more – all decked out in colorful twinkling lights. Save the date and we hope you to see you at this fun event!